Hello! 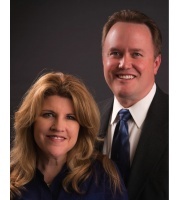 We are Glen and Jennifer Wilde of Signature Real Estate Group. We are full time Realtors and love what we do. Glen is a 23 year veteran of the Las Vegas Metropolitan Police Department. He enjoys mountain biking, road biking and hanging out with family and friends. Glen is currently serving as the second counselor of the Town Center Ward. Jennifer is a mother of 3 girls and has 3 granddaughters. She enjoys playing volleyball, spending time with her family, and is currently serving in the Primary at of the Town Center Ward. We are both native Las Vegans. We love helping happy people buy and sell happy homes! Let us make the process an easy and enjoyable experience for you! Hi Glen and Jennifer, I just came across your profile on memberagents.com. I'm interested in purchasing a home in your area and would like to talk to you about possibly helping me find a nice home to purchase. Please let me know if you're available to help out. Thanks!